And, beyond this, much of what we treat people for in intensive individual psychotherapy—gross dissatisfactions with the course of their lives, difficulties in the areas of interpersonal relationships or work adjustment, school or work inhibitions, etc—are not considered formal diseases by the third-party payers for which they should expectably carry the treatment costs. After all, the inability of a graduate student to complete a doctoral thesis in comparative languages or in anthropology which will result in one less doctoral degree holder and one less academic career is hardly considered a disease state for which an insurance program should provide treatment, no matter how tragic the career and life consequences for the disappointed and frustrated individual. And, certainly, the casting of disease criteria, reimbursable disease criteria, into DSM-III terms with its specific symptom criteria for illness has further compounded this problem. Again, all factors that will chill even further the ardor of the potential long-term psychotherapy provider. Given all this as the context of changes that have occurred in psychiatry and in psychiatric practice since the time of my own training into our discipline, with which I began this chapter, where does that leave us today in relation to our concern for the well-being and the vitality of the psychotherapy enterprise, both the education for it and the continuing practice of it? It is clear from everything that I have recounted to this point of the major new components of contemporary psychiatric education that the teaching of the theory and the techniques of psychotherapy has been progressively and severely eroded in our training program curricula, even in those programs that have tried to resist the current tides and to maintain time-honored commitments to psychodynamic thinking and practice. Typically, in today’s psychiatric residency programs, the third year of the four-year sequence is designated as the ‘psychotherapy year’. What this means in actual practice is that, given the other time demands, even in that year, even in the so-called committed programs, the expectation will be at most for 12 hours per week of individual psychotherapy, which, for a maximum of 50 weeks, though almost not where there are residents’ vacations plus time away for educational leaves limited to but two weeks a year, would come to something a good deal less than 600 hours of logged time—that is, the very maximum 12 hours for 50 weeks. Though there may be a patient or two seen in psychotherapy prior to that psychotherapy year, and some continuing of some of those third-year patients into the fourth year (depending on other program pressures), except for that minority of residents within that minority of programs that have specialized psychotherapy tracks available for fourth-year electives, the basic less-than-600 hours of third-year psychotherapy experience supplemented a little—often very little—in the second and fourth years becomes the totality of psychotherapy teaching in today’s residency training programs at their very most. Compare that with the 3000 hours of psychotherapy experience typically logged by the residents in just about every program in the immediate post-war era in which I was trained and which was regarded then as what was minimally necessary for the residency training programs to feel satisfied that they were graduating residents qualified and competent to enter into independent practice with requisite skill and experience, individuals to whom they would be willing to refer private patients. Lest you feel that this is too stark and exaggerated a contrast, let me quote from two articles which appeared in 1990, in the American Journal of Psychiatry. The first is by Paul Mohl and six collaborators, the lead article in the January issue entitled ‘Psychotherapy Training for the Psychiatrist of the future’. The article was the product of a joint task force of the Association for Academic Psychiatry and the American Association of Directors of Psychiatry Residency Training. It endeavored to layout an optimal psychotherapy training program within the context of present-day psychiatry and its various parameters and constraints. In the first, PGY-I, year the program emphasis would be on clinical care, that is ‘diagnosis, crisis intervention, pharmacotherapy, and extensive history taking and treatment planning’, and the ‘Residents follow hospitalized patients with a primary focus on understanding the natural course and resolution with treatment [meaning psychoactive drug treatment] of major psychiatric illness, rather than the provision of psychotherapeutic treatment.’ This, incidentally, by way of contrast with my own initiation into psychiatry where I was thrown into 20 hours a week of scheduled psychotherapy from my very first day on a psychiatric service, buffered as best as possible against all my anxieties by very intensive and very high-grade supervision by a senior psychoanalyst supervisor. But, to go on with this recounting. In the PGY-II year ‘clinical care in the second postgraduate year largely involves hospitalized patients [meaning again, brief treatment via drugs and ward management, not psychotherapy], but assignments should also include at least two patients for whom psychotherapy is the predominant or exclusive form of treatment’. Translated, this turns out to mean once-a-week psychotherapy, a maximum of two hours each week over the whole year or 100 hours in the hypothetical 50 week working year, but, in most cases, it would work out to half of that, one hour a week or up to only 50 hours. PGY-III is, of course, the presumed big psychotherapy teaching year. Here the disappointing recommendation is: ‘Clinical care during PGY-III consists of 4-7 psychotherapy hours per week and at least one patient who is seen more than once a week.’ Let’s call that an average of six hours per week or up to 300 hours per year in the big psychotherapy teaching year, an official statement of optimal intent that is only half of the 600 hours that I had built into my word-picture of where we have come from the 3000 psychotherapy hours of my own psychiatric residency training experience. And then, for the final residency training year, the authors propose: ‘In PGY-IV, most residents will not add new long-term cases but will add cases that provide the opportunity to use a subspecialty form of psychotherapy.’ And these they had specified earlier in the article—brief psychotherapy, hypnosis, cognitive therapy, sexual therapy, etc. All laudable, perhaps, but not the same thing. They also say: ‘There should be some unsupervised cases during this year.’ Do those of us who have devoted many years to psychotherapy training and experience, both as students and as teachers, really feel that our residents are ready to do unsupervised work after so minimal an exposure to psychotherapy under supervision? I would submit that this is not an issue of mature adulthood and autonomy versus infantilization, as some would have it, but of the kind of message it conveys of what we think constitutes adequate enough psychotherapy training and experience. Contrast that with the comment made to me recently by a senior psychoanalytic colleague who told me that now, after some 40 years of full-time clinical practice, he has at last attained to the comfortable feeling that he really knows what he is doing when he treats his patients and feels that he can be of maximal help to them. Put that down to hyperbole and feigned modesty if you will, but there is also much more than a kernel of truth in it. What is to me the dismaying capstone to this article comes towards the end when the authors ruefully acknowledge that only some residency training programs will have the resources (let alone the will) to meet even these, to me, extremely meager training demands. They therefore state that for all the rest there is also a ‘model curriculum for minimum training in psychodynamic psychotherapy’. To meet these objectives each resident must spend a minimum of 200 hours treating patients with psychodynamic psychotherapy. These sessions must be at least weekly and last at least 45 minutes, and the purpose of each session must be to engage in psychodynamic, expressive, exploratory psychotherapy. Preferably, these 200 or more hours of experience will extend over the entire training period of the general psychiatrist. Each resident should see at least four different patients, at least one for more than 50 sessions and at least one, preferably more than one, who is treated until termination. Given that the total four-year residency program constitutes up to 8000 scheduled hours, and the 200 psychotherapy experience hours constitute only 2.5 per cent of that, one can well ask what other branch of medicine would consider as adequate speciality training the devotion of 2.5 per cent of its total training time to the treatment of but four patients, only one to completion, the most characteristic, distinctive and widely used treatment modality at its disposal? What can be seen as a codicil to the article by this task force is one appearing three months later, in the April 1990 issue of the American Journal of Psychiatry, by Kenneth Altshuler entitled ‘Whatever Happened to Intensive Psychotherapy?’ Altshuler’s article is based on a questionnaire survey of 212 psychiatric residency programs, to which he secured 163 responses. To introduce just one of his dismaying findings, less than 40 per cent of the respondent programs required any patients to be seen more than once a week within the total residency training period. This means that more than 60 per cent of our programs graduate residents into careers of psychiatric practice, who will never in their training period have seen any patient more than once a week. And of the 59 programs out of the 163 that do require some patients to be seen at least twice weekly, only 10 across the country require that there be at least three such twice-weekly patients—the others divide into 21 programs that require one such and 28 programs that require two. This, in sum total, is the picture of psychotherapy training, 1990s style, across our nation’s psychiatric residency programs. In this context it should be no surprise then that the American Association of Directors of Psychiatric Residency Training can have pal discussions at their annual meetings, not on how much psychodynamic psychotherapy experience and teaching there should be in a contemporary psychiatric residency but whether psychotherapy training should still be required or be only optional- optional for those who want to pursue that now-called subspeciality within psychiatry as their can choice. Those who believe that psychotherapy training should be optional argue that there are so many knowledge areas in contemporary psychiatry that require full medical training for their proper understanding and utilization, like neuroscience and its clinical applications in the psychopharmacological treatment of severe psychiatric disorders, and, further, that dynamic psychotherapy is the one area of psychiatric expertise that can be shared with, and learned equally well by non-medical practitioners who can then also practice it equally well and, presumably, less expensively and, therefore, that the psychiatrist’s relationship to psychotherapy can properly be confined to understanding the range of its indications and contraindications and the appropriate prescription for it by referral to the non-physician in a manner similar to referrals by orthopedic physicians of physiotherapy to be carried out by allied disciplines. Of course, ultimate medical control should be maintained and the psychiatrist must assume administrative and supervisory responsibilities for this prescribed psychotherapy carried out by other mental health professionals. Quite aside from the inevitable political turf battles with our fellow mental health practitioners in other disciplines over this no-longer acknowledged assumption of medical-psychiatric hegemony in the mental illness treatment area, there is also the irony—which seems to have escaped the proponents of this position—that the psychiatrist could be presumed to be in the position to supervise psychotherapy without ever having had the requisite training himself or herself to carry it out properly. It is not much of an extension of this anti-psychotherapy-for-psychiatrists argument that I have just presented to follow the voice of an eminent psychiatric educator, the former chairman of one of the country’s major medical school psychiatric research departments and now the provost for all health sciences in that university. The proposal he has advanced is that with the modern growth of neuroscience and biological psychiatry and all of the technology of contemporary psychiatric laboratory and clinical research, psychiatry now has the historic opportunity to correct what he considers a fundamental mistake made in the 19 30s and 1940s of splitting off into an independent speciality from the previously combined departments of neuropsychiatry and rejoin with neurology into recombined departments since, after all, he states, there is absolutely no difference in this day and age between the training of a first-class psychiatric resident and the training of a first-class neurological resident, and that having separate departments of psychiatry and neurology is as fundamentally ludicrous as having a medical school department of hearing, smelling and tasting apart from a department of otolaryngology. This talk by this major figure in American psychiatry given at the grand rounds of another equally prestigious medical school’s department of psychiatry—the department in which he had begun his academic career—then detailed all the declared unhappy consequences for psychiatry of its unfortunate separation from neurology, the opportunity for psychoanalytic theory and psychodynamic psychotherapy teaching to rise to a position of primacy within psychiatric training and practice, the long delay in the coming of age of proper—that is biological—psychiatric research, etc. The proponent of this view expressed no confidence that it would be either a popular or a possible agenda. He is too savvy politically to harbor such illusions about the nature of the entrenched political and professional vested interests that would render this turning back of this particular clock, something that is no longer feasible. It was proposed rather as an effort at a rigorous intellectual rethinking of the real conceptual implications of the content revolution that has transformed the psychiatry and the psychiatric practice within which I was trained five decades ago into the psychiatry and the psychiatric practice within which we train today. Clearly it is a vision that has quite completely removed dynamic psychotherapy from the present (and the future) psychiatric scheme of things. And, of course, this line of thinking is substantially abetted by the current and predictable reimbursement trends of psychiatric practice that I have already partially addressed earlier in this chapter. The unmistakable trend, as I have indicated, is towards the progressive sharp diminution for coverage for long-term psychotherapy—from the time 20 or 25 years ago when patients could get entire long-term psychotherapies, including psychoanalyses, wholly or up to 80 per cent reimbursed in some of the country’s major programs, the Federal Employees Health Benefits Program that sustained an entire psychoanalytic and psychotherapy practitioner community in Washington, D.C. where the majority of the city’s work force is on the federal payroll, to the staff employees of the Veterans Administration with its hospitals in every major metropolitan area in the country, to numerous private insurance covered programs in many major industries and companies—to the present downward shift to where 20 psychotherapy sessions within a calendar year has become the norm for outpatient psychotherapy coverage. This is in contrast to continued sustained coverage for psychiatric inpatient care (to a cap, of course, but one that does cover the vast majority of hospitalized patients, in fact almost all except for the residue in this era of deinstitutionalization, of remaining chronic, unrehabilitatable patients still publicly supported in our state mental hospitals). As the inevitable long-delayed trend towards some kind of universal, probably combined privately and publicly supported, national health insurance scheme picks up momentum out of our growing health care crisis in America—and we are today, along with South Africa, the only advanced, industrialized country in the Western world still without universal health care coverage—what seems most likely to me, given the way things have been going to this point, is that intensive psychotherapy of any kind will be squeezed out of the system to be relegated to the private market for those more affluent and sophisticated who can afford it and will seek it on their own. Mental health coverage is, of course, far from uniform in all the industrialized countries of the world that have universal health care coverage. In some, like Canada and Sweden, there is total coverage for long-term psychotherapy and psychoanalysis when provided by a psychiatric practitioner. In others, like Belgium, there are very significant co-payments. In still others, like the former West Germany, there is full coverage but with a cap on total duration—in the West German case, 300 hours. But the model to which I see the United States moving in terms of the restrictions being progressively put into place by governmental and privately supported insurance programs alike is the British model, where psychotherapy on an indefinite once-weekly basis is available within the National Health Service, at least by those NHS clinic settings like the Tavistock in London which undertake to provide it, which not all the NHS clinics do, but more intensive, that is more frequent, psychotherapy must be financed privately by those who desire it and can afford it. This means that in England all psychoanalyses, for example, are privately paid for and totally outside the tax-supported health care system. As a consequence, psychoanalysis in that country is largely limited to London, where the overwhelming majority of the requisite sophisticated and affluent patient population resides, and the fee structure is at a level far less than half of that prevailing for therapeutic hours in our country, despite the fact that living costs in London are not significantly different from those in New York. 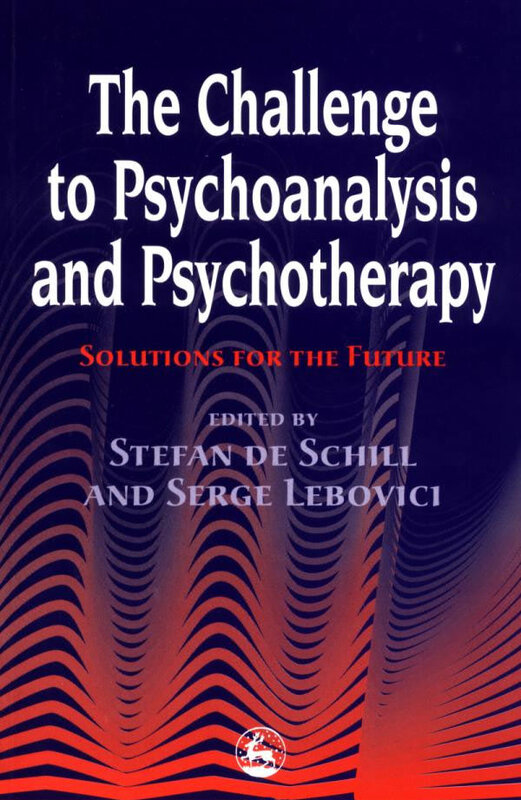 All of which brings me up to the present moment and to the question with which I undertook this chapter: my charge to prognosticate as best I could upon the future of psychotherapy, intensive psychotherapy and psychoanalysis, USA, in the 1990s. Many of you will, no doubt, have concluded that the unspoken subtitle that I had in mind for this chapter has been what I alluded to in my opening paragraph: ‘Psychotherapy, an Endangered Species’. In one sense that could be read as an entirely fair conclusion—at least psychotherapy in the professional sense in which we came to know it in the heady days of the 1950s and 1960s in this country when the hegemony of the psychodynamic psychotherapy enterprise as the central intellectual and therapeutic activity within psychiatry was almost unchallenged, when public acceptance, prestige and esteem for us and our activity was at an all-time high and when this was widely enough acknowledged by the social policy and economic planners, both in government and outside, who were responsible for the nation’s health care. Clearly, I have outlined the various scientific-professional and sociopolitical trends that together have conduced to so drastically alter that situation now as we are in the 1990s. How then do I read the future of the psychoanalytic and the dynamic psychotherapy enterprise today in the light of this drastically altered current climate? First, let me say that psychoanalysis, as theory and as practice the intellectual wellspring of dynamic psychiatry and psychotherapy, survives and, taking a broader and longer view, which I will layout, flourishes. Certainly, as a theoretical perspective, psychoanalysis has a very sharply diminished place within academic psychiatry as compared with its position 25 and 30 years ago and this still-continuing trend of diminishing position and influence promises to continue for some time ahead before the pendulum will (inevitably) begin to swing back and self-correct. The promises of biological psychiatry and the promised therapeutics of genetic alteration and of psychopharmacologically corrected neurotransmitter imbalances are still in the first flush of enthusiastic expansion, much as psychoanalytic psychotherapy was in the 19 50s and 1960s, and the inevitable oversell, the raising of unrealistic expectations and the ultimate tempered disillusionment and settling down to a more sober and modest statement of reasonable and realistic therapeutic expectation has not yet begun to take place and may not for still 5 to 10 years ahead. But, certainly, we all know that the varieties of depressed people in all life stages and subject to all varying circumstances have myriads of psychological problems, traumatic happenings and losses, conflicted interpersonal relationships and inner and outer disequilibrating pressures that will not be resolved just by mood altering medications that take them out of dysfunctional despondency and render them more able to try to face and deal with life’s difficulties. The George Engel biopsychosocial model of human psychological functioning and malfunctioning is still our collective scientific ideal, to which we all give allegiance, though for so many of the enthusiasts for each extreme position within psychiatry it is too often but lip service that, in practice, is set aside from our practical therapeutic pursuits. And for now we are as surely in the era of one-sided biological ascendancy within psychiatry, and especially academic psychiatry, as we were 35 years ago in the era of one-sided psychological (i.e. psychoanalytic) ascendancy. This is a theme that I have developed at great length in an article two decades ago entitled ‘Psychoanalysis and Academic Psychiatry—Bridges’ and in an even more cautious and pessimistic—from my point of view-tone in an article published in 1989 with a colleague, Edward Weinshel, entitled ‘The Future of Psychoanalysis’.